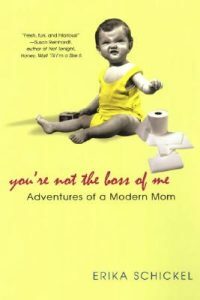 Writer and performer whose memoir, You’re Not the Boss of Me: Adventures of a Modern Mom, was a People pick. 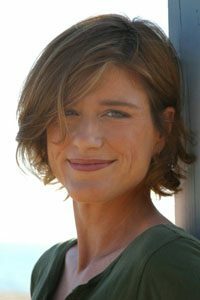 Ms. Schickel is the author of the award-winning radio drama “Wild Amerika,” produced by LA Theatre Works for “The Play’s the Thing,” and her essays and commentary have appeared in the Los Angeles Times, LA Weekly, LA City Beat, Salon, and The Rattling Wall. I am a story junkie. I like telling them, hearing them, writing them, and performing them. Whether it’s an anecdote or an epic tale, stories are conduits to insight, connection, understanding and well-told story is deeply pleasurable. A good story can happen anytime and anywhere. A trip to the 7/11 can hold a gripping yarn just as easily as a trip to Mars. Something magical happens when a live audience is present to hear our stories. The storyteller transforms into a shaman, escorting us on a journey, and the moment becomes holy. The alchemy of breath and time and the collective pulse of the group assembled makes the moment sacred, even if the tale being told is simply a shaggy dog story. We hope, at best, for revelation, and at least, for a laugh. Both are beautiful and transformative. Whether I am performing a monologue, writing a blog post, an op-ed piece or just telling a joke, I am looking to forge a personal connection with my audience, to reflect their experience and connect them to the complex, perilous and giddy joy of being human.